Preheat oven per pizza crust instructions. Spread an even layer of pizza sauce on top of the pizza crust. 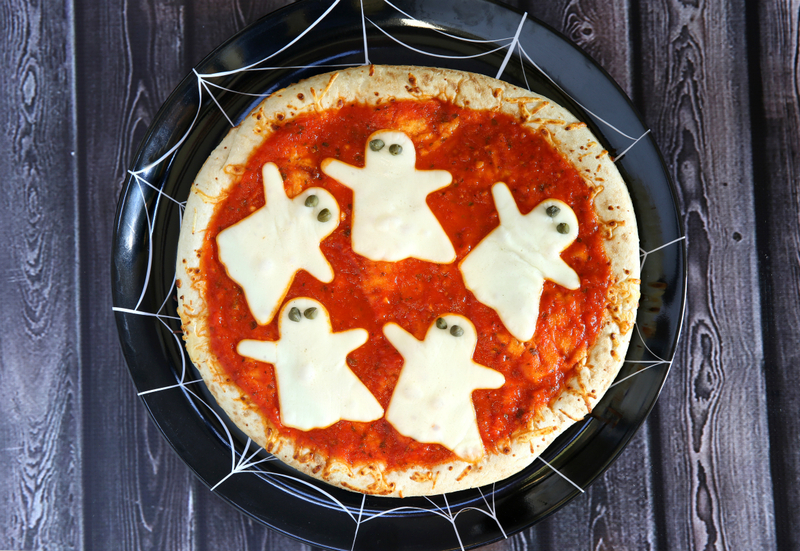 Next, using Halloween-shaped cookie cutters, cut out ghost cheese shapes from the mozzarella. Place cheese on top of the pizza sauce. Adorn the ghosts with capers for eyes. Bake until hot and bubbly and serve.